What's the best age for my children to learn to ski? 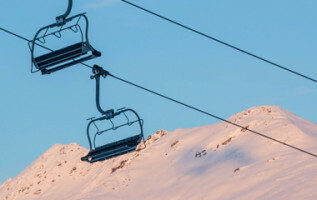 You are here:HomeBlogWhat's the best age for my children to learn to ski? Nothing cuter than a little tot wobbling their way down their first nursery run! And not to mention the feeling of pride that you as a parent experience when you see your little darling out there on the slopes. But how young is too young for teaching your kids how to ski? We asked several experts for their opinions on the best age for teaching children how to ski and snowboard. Is two-and-a-half years too young to learn to ski? Most ski schools in Austria only accept tots who are toilet-trained. 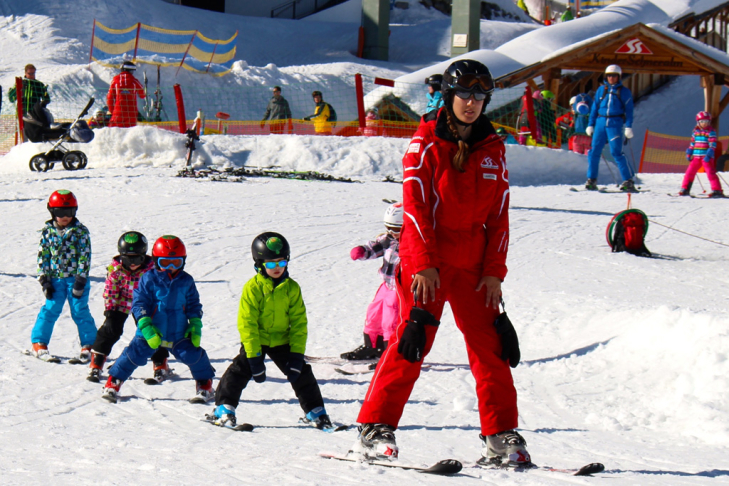 After all, a ski instructor is there to teach children how to ski, not to change nappies! 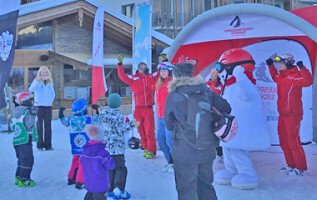 This results in most small children at Austrian ski schools already being three or four years old. However, in France and Switzerland, toddler can embark on their first turns in some ski resorts from the tender age of two-and-a-half. Compare this age to the ages at which children tend to start other sports: football or swimming, for example, are usually started at the age of five or six. Why do we insist on enrolling our children in ski lessons when they are barely out of nappies? Hmm... probably because the parents themselves want to get some shredding in! Ski instructor Lisa started at the age of three and claims she was a natural! But now that she’s older, she questions whether it’s wise to let children ski so young. There are plenty of forums online where you can find animated debates by parents of young tots, arguing about what is the best age to deliver their children into the capable hands of a ski instructor. Don’t forget that children must also have a decent attention span and be independent and energetic enough to last a few hours away from their parents in order to enjoy the experience. You don’t want to groom your child to hate the snow! 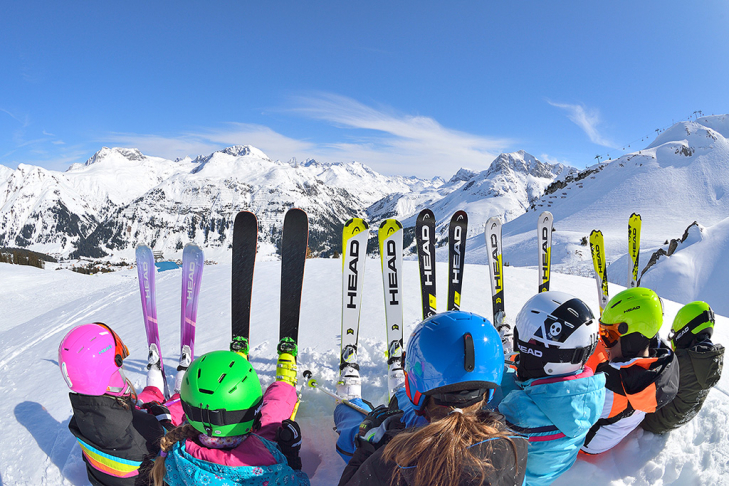 Is it irresponsible to let your kids ski when they’re barely out of nappies? 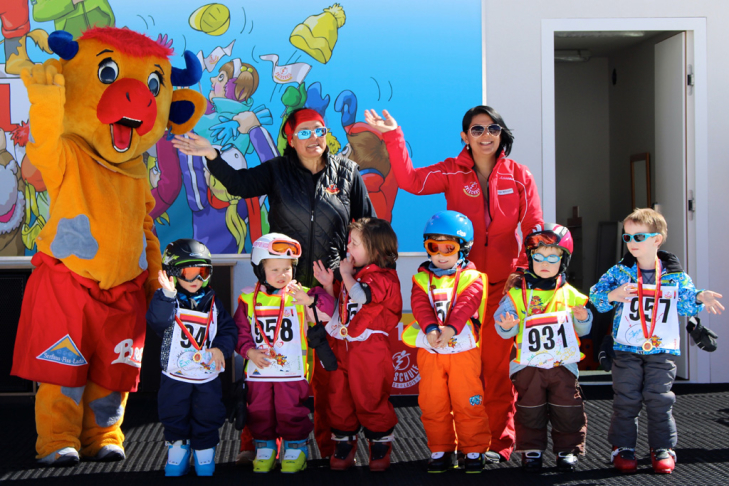 “Of course, coordination and skill level differs according to the child, but in general I find it irresponsible to give ski lessons to two- and three-year-old children,” says sport pedagogue Petra van der Kooi. She underlines that this is the responsibility of the parents but also of ski schools, who ultimately have the power to determine at what age they will accept children in their classes. “It doesn’t make sense to try to teach technical movements to children under the age of five. Their fine motor skills and coordination are not yet developed enough.” Plus, there’s the issue of strength: “After a week of skiing, adults get stiff muscles. Children might not get stiff in the same way, but I don’t believe it’s good for the growth process.” Van der Kooi acknowledges that many little tots are just interested in imitating their big brother or sister and playing in the snow, in which case she advises parents to let tots have a romp in the snow without the hassle of formal ski lessons. In fact, that’s exactly the approach formal ski lessons will take, says Ivo Trouw. Trouw is an osteopath, ski instructor and father to two children himself. “Skiing with toddlers means little more than taking some first steps on skis, accompanied by lots of games. It’s mostly having fun in the snow,” he explains. According to Trouw, this is a harmless approach, and parents shouldn’t expect anything more out of ski lessons at such a young age. “Parents often expect their three-year-old to come down the hill with perfect turns, but that’s simply not possible yet. Making a snowplough is very difficult for a three-year-old. It requires bending the legs inwards, which requires more strength and coordination than turning the legs outwards (for example, when kicking a football). According to Trouw, children’s ski lessons that consist of taking some steps and sliding around can do no harm to a three-year-old. But for lacing turns together on an actual incline, he recommends waiting until the age of four or five. Parents of small children will have also wondered about ski harnesses, which attach to a child with the parents holding the reigns. “Personally, I find these harnesses dangerous,” says Trouw. They teach children to be dependent on the harness. “If a child can already make a snowplough, then there’s no point in the harness, because they should be able to brake by themselves.” Moreover, the adult holding the harness must be very strong to support the weight of the child. If the parent can’t handle the weight, both parties will lose control. “It’s better to sign them up for a short ski lesson if you’re bent on having them learn skiing,” says the osteopath. Group ski lessons can be fun, but they can also be a nightmare. I remember loving my ski lessons – my instructor gave me cookies – but I remember my sister crying and dropping out halfway through the morning. A great ski instructor can make all the difference. If you’re unlucky, the ski instructor might only speak French or German (although some good instructors manage to overcome the language barrier using hand gestures and body movements). In group lessons, the dynamic becomes very important. If your child doesn’t get along with others in the class, it doesn’t matter how good the instructor is, the experience will be ruined. There’s a difference between having fun on skis and actually learning how to ski. There’s no problem in letting your little one play about in the snow, but don’t try to force them into making real turns before they’re ready. Still not sure? Try asking your child if they feel ready for ski lessons yet! Of course, they don’t understand what skiing is yet, so they might not be able to give a fully informed answer. But it will give you an idea of how they feel, and it will make them feel like a willing participant in the decision-making process. Remember, the most important thing is to have fun! Please note: Opinions reflect those of the interviewees and are meant for interest only. Always consult with your ski school.